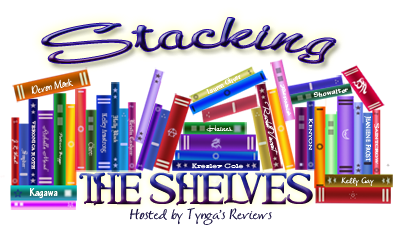 Stacking the Shelves is a weekly meme hosted by Tynga's Reviews in which bloggers share the books they stacked their shelves with during the week! So, I've been a bit of a bad blogger but really, it's the holidays! I've been having fun with the family, working a ton, and enjoying Christmas (aka my favorite holiday). 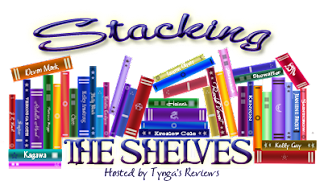 I meant to post a Stacking the Shelves last week but I just didn't have the time. 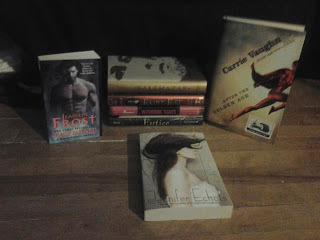 So this is an insanely large post which includes Employee Appreciation weekend, crazy bargains, and my Christmas haul! (And, speaking of being an employee....I was offered regular season employment at Chapters! YAY! I'm really excited, and so grateful that I was chosen). 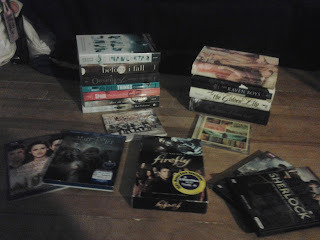 Here is my haul (and apologizes for the poor picture quality, and for the two pics that didn't work)! - I've been meaning to pick this one up since I own the first two and decided to take advantage of the sale! -I wasn't planning on buying this one but, as I was running around Chapters I spotted this on the bargain table. I noticed a little sticker on the cover and decided to check it out. 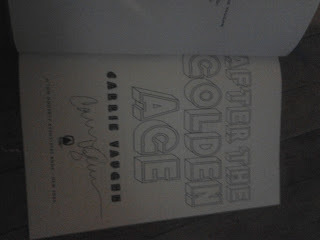 Lo and behold I found out that it was in fact a SIGNED copy! I just had to buy it after that! - Jeaniene Frost rocks my socks! 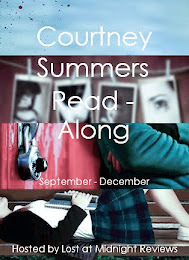 - I read Going Too Far recently and loved it! I needed more Jennifer Echols! - So pumped to start this! I know it'll be fabulous! - Read this a long while back and it was gorgeous. Can't wait to reread it! - I've already read this one but I absolutely love it and needed it for my collection! - (As you can tell, I asked for lots of books I've already read for Christmas!) Needed this book and was ecstatic to find it under the tree! - One of my favorite books this year now sits proudly on my shelf! 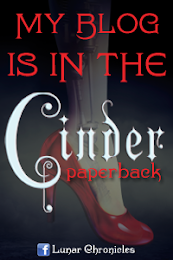 - I want to check this one out again so I can see the difference between the ARC and the finished copy! - Sounds awesome and it won lots of awards! - So...I finally caved. Now, let's hope this book lives up to the hype! - Finallyyyyy. I've been wanting to pick this up since it came out and now I have it in pretty paperback form! - I've heard spectacular things and I can't wait to read it! - Loved Storm and I'm positively giddy to read its sequel! Well, that's a lot of stuff! I'm not sure where I'm going to put it all! Until next time, folks! AHH! So excited to talk Just One Day and The Madman's Daughter with you! SO VERY EXCITED! (Oh, and you're welcome). Great haul this week! That Sims Supernatural thing sounds AWESOME. I also finally bought Obsidian. I'm so excited to read Just One Day. And I also bought Red Ruby. It's fantastic. And I really want to read Such a Rush. Looks like you had a very nice week indeed. Enjoy your new goodies Ciara. Announcing: The Series Catch-Up Challenge!